Inspiration Living is a design firm that goes the whole nine yards. Since our firm’s first day, we had one unwavering aim – to make a house a home. This mission translates to ensuring that every single detail in a project, from the first stages of design to project completion, is rightly implemented. We treat every space entrusted to us importantly, and will make the best of it for our customers. 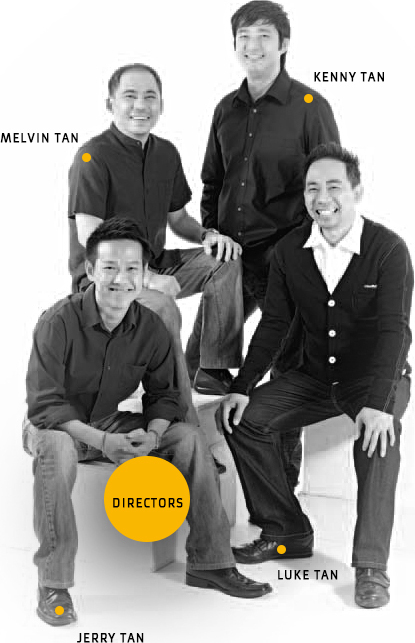 The firm’s four directors – Kenny Tan, Melvin Tan, Luke Tan and Jerry Tan – head a flexible team with years of experience that is equally adept in both residential and commercial interior design. For its rigorous design standards and excellent client service, the firm was a recipient of the Successful Entrepreneur award in 2010. And true to its name, the team has been turning out projects that are always an inspiration. Inspiration Living is a design firm that goes, as they say, the whole nine yards. They have a single aim - to make a house a home, and they see to it that every detail in each project.